A while ago I ordered a couple of cheap USBASP sticks. They are to be had on Ebay for as little as 2,50 € including world wide shipping and meant to be used for programming AVR microcontrollers. The programmer itself is based on an ATMega 8 controller so one of the sticks can actually be used to update the USBASP firmware on the other one. All it needs is shortening JP2 on the board to be flashed. 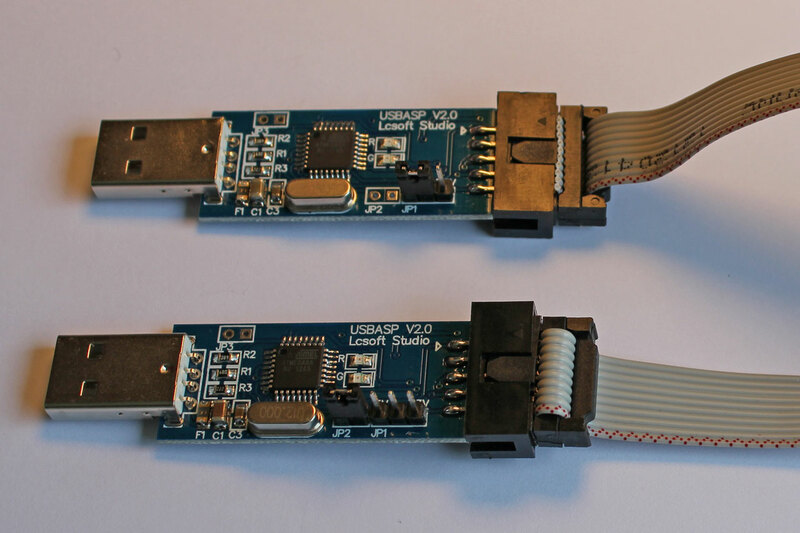 But that is not even best part: the USBASP firmware is based on the open source V-USB driver, meaning these sticks can easily flashed with any other firmware using the same driver. 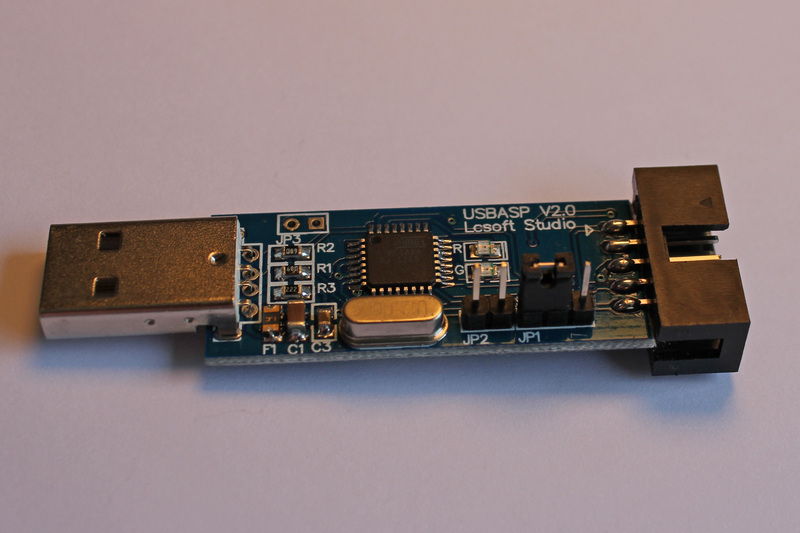 So, they make for a cheap, complete, and easy to handle development platform for USB projects like the IR receiver introduced in an earlier post. This entry was posted in Uncategorized by cg. Bookmark the permalink. Yep, I discovered this too how great these are for small projects. 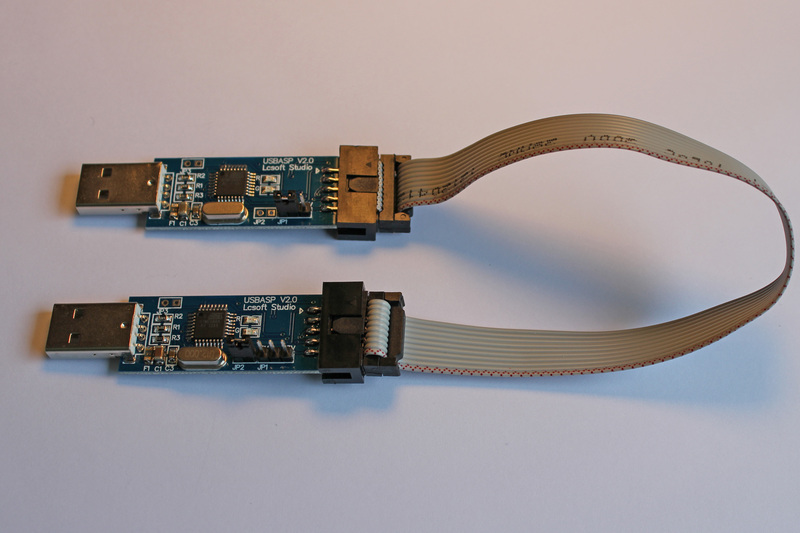 Good hardware for V-USB, jumpers, a couple of LEDs, and a nice header to plug female-to-male wires for plugging into a breadboard or other devices. 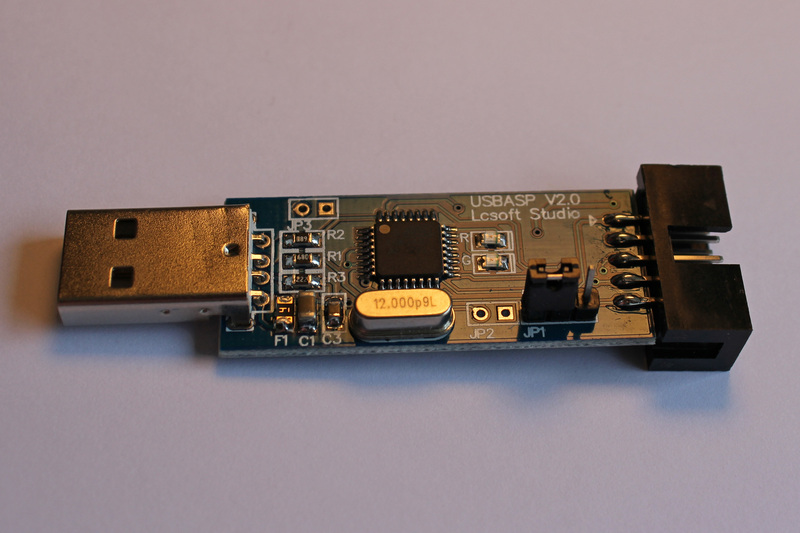 I like to put USBaspLoader, a bootloader that can reflash the main program on them. This way you don’t even need a second one during development or to unplug anything, just reset it, reflash, then have it run your new program in place.